Sage have just notified their partners that the Sage CRM 100 version of Sage CRM will be retired effective January 1, 2014. Historically, Sage has offered a Sage CRM 100 edition and a Sage CRM 200 edition. In order to simplify our pricing, focus our R&D efforts, and deliver the most value to our customers—we are retiring the Sage 100 CRM edition. 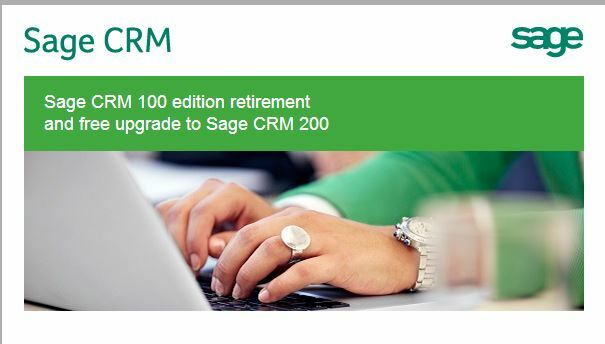 Effective January 1, 2014, the Sage CRM 100 edition will be retired. As of this date, all sales (including new and add-on users), product updates, and technical support will be discontinued. Customers on an active Sage Business Care plan will receive an upgrade to the full Sage CRM 200 edition at no additional charge. Off plan customers who chose to reinstate their Sage Business Care plan by March 31, 2014, will also receive a free upgrade to the Sage CRM 200 edition. Note: The free upgrade to Sage CRM 200 edition is only available to customers who purchased Sage CRM 100 edition prior to November 11, 2013. Moving forward, all renewals and additional users will be based on the Sage CRM 200 edition pricing. Please review the following communications that will be sent to Sage CRM 100 customers on November 11, 2013. All customers have been encouraged to contact their Sage business partner prior to installing the Sage CRM 200 upgrade. Fully customize their CRM and create entities based on the customers specific needs. 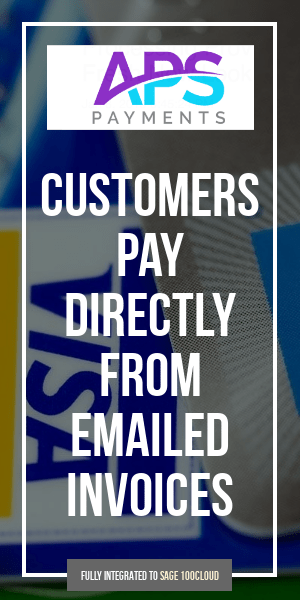 This also adds scalability to their CRM. Take advantage of unlimited users compared to up to 30 users in the Sage CRM 100 edition. Integrate with either Sage 100 ERP or Sage 300 ERP for a complete and single customercentric view, including financial and nonfinancial information. This also helps in better decision making. Leverage the mobility and iPad support features to increase sales effectiveness and improve customer experience. CRM users can now access your CRM through their mobile devices or iPads. Provide their CTI-enabled users with telephony functionality from their desktops through the Sage CRM interface. Users can select any hyperlinked telephone number in the system to call that number—and any incoming calls are matched with contacts in the CRM system so that they can quickly view contact details while they talk, or even before they take the call.